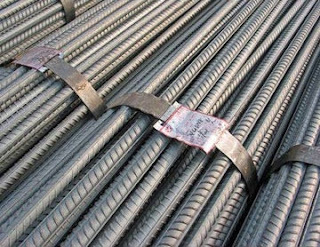 Steel is the common name for a large family of iron alloys which are easily malleable after the molten stage.Steels are commonly made from iron ore, coal, and limestone. 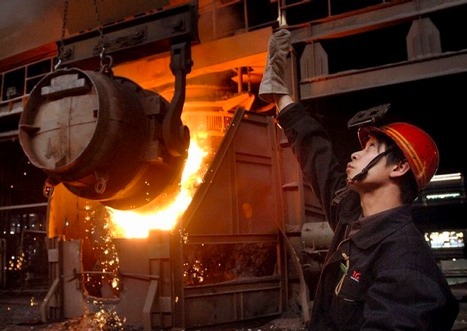 When these raw materials are put into the blast furnace, the result is a "pig iron" which has a composition of iron, carbon, manganese, sulfur, phosphorus, and silicon. As pig iron is hard and brittle, steelmakers must refine the material by purifying it and then adding other elements to strengthen the material. The steel is next deoxidized by a carbon and oxygen reaction. A strongly deoxidized steel is called "killed", and a lesser degrees of deoxodized steels are called "semikilled", "capped", and "rimmed". Steels can either be cast directly to shape, or into ingots which are reheated and hot worked into a wrought shape by forging, extrusion, rolling, or other processes. Wrought steels are the most common engineering material used, and come in a variety of forms with different finishes and properties. Carbon Steels Alloying elements do not exceed these limits: 1% carbon, 0.6% copper, 1.65% manganese, 0.4% phosphorus, 0.6% silicon, and 0.05% sulfur. 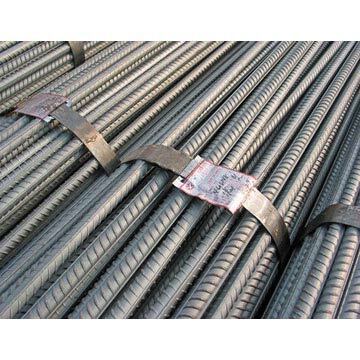 Alloy Steels Steels that exceed the element limits for carbon steels. Also includes steels that contain elements not found in carbon steels such as nickel, chromium (up to 3.99%), cobalt, etc. Austenitic: Typically contains 18% chromium and 8% nickel and is widely known as 18-8. Nonmagnetic in annealed condition, this grade can only be hardened by cold working. Ferritic: Contains very little nickel and either 17% chromium or 12% chromium with other elements such as aluminum or titanium. Always magnetic, this grade can be hardened only by cold working. Martensitic: Typically contains 12% chromium and no nickel. This grade is magnetic and can be hardened by heat treatment. Tool steels typically have excess carbides (carbon alloys) which make them hard and wear-resistant. Most tool steels are used in a heat-treated state, generally hardened and tempered.